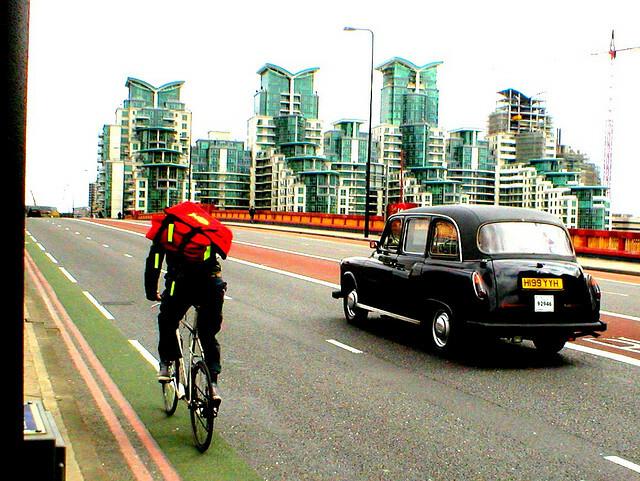 Can Taxis and Apps Work in Harmony? The rise in app based taxis, car sharing and London’s unlicensed minicabs and rickshaws has driven many cabbies to despair. Their businesses are suffering because of the newer and sometimes more convenient app based services. 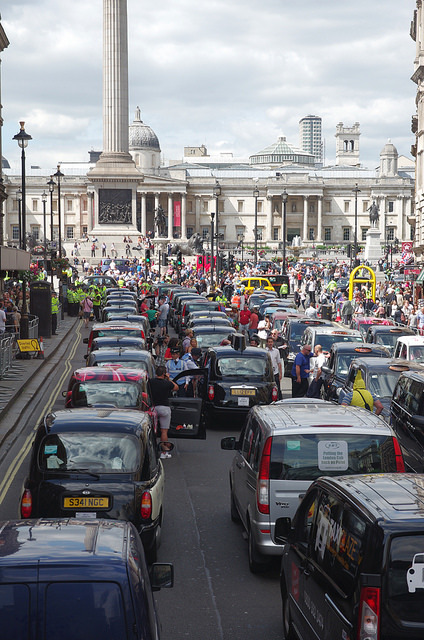 In June, 5,000 black cab drivers took to London and blockaded the city streets in protest against the new trend and many cities and taxi drivers the world over are angry with the situation. The debate between the services was even brought to attention by American animated comedy, South Park, who classically lampooned the debate in their uniquely crude way. The main business riling the cab drivers up is Uber, a taxi service, which you can hail, pay for and tip with your smartphone. The general secretary of The London Taxi Drivers Association (LTDA) called them ‘a massive American monster that uses its financial muscle and army of lawyers to threaten, cajole and kowtow licensing authorities and regulators’. The app has its conveniences. Licensed drivers, a range of sizes and vehicle qualities, and at the end of the night when all your cash is spent you can pay on your phone and split the bill evenly with your mates. The app’s negatives are also very clear, their screening of drivers is inadequate. The world over there have been attacks, sexual harassment and assault from Uber drivers, some of whom have had a cluttered criminal past, and in some cases their drivers have no knowledge of the city they operate in. To get your green badge license that allows London Taxi Drivers to drive around the whole of Greater London they must pass a medical, pass an enhanced criminal records check, and learn ‘The Knowledge of London’. The Knowledge of London test ensures LTD drivers have an intimate knowledge of London’s streets and traffic, something that a satellite navigation system cannot offer. It is known as the world’s most intensive taxi driving course and often takes around 12 attempts to pass the final test and nearly three years of preparation. It is understandable why LTD drivers are upset. Their hard work and investiture in their business will be for nothing if Uber takes over. That being said, their should be a way that LTD and an app based service can work together. 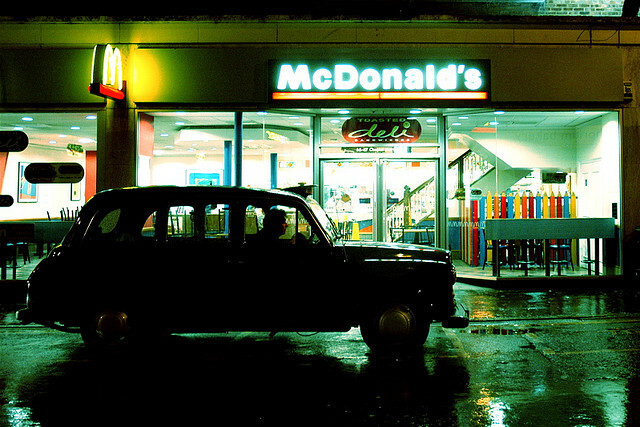 Hailo is an app co founded by internet entrepreneurs and taxi drivers with over 50 years of experience between them. They work only with licensed black cabs, allowing drivers to find a fair should they need the business, they have a cancellation system in place, which charges users small fee if they cancel after a certain period of time, and it works in a similar simple vane as Uber, you hail, you pay and you tip with your phone. So it is possible for fully licensed drivers to get along with the age of the app. It would be a truly dreadful day if the hard work and effort that cabbies put into their business were to end. Hopefully that day never has to come, and that new apps like Hailo can be developed that work alongside drivers rather than trying to muscle them out. For information on Taxi Insurance please visit our site. This entry was posted in Fleet Insurance on October 27, 2014 by admin. At Think Insurance we have over thirty years of experience in the taxi insurance market. We know what taxi drivers want, probably more than most as our Taxi Insurance Sales Manager used to be a Birmingham Taxi driver. With all these years of experience behind us we know how to take care of any queries you might have about Taxi Driver insurance. Here we’ve compiled a list of our customer’s most frequently asked questions. If you have any more questions don’t hesitate to visit our main Think Taxi Insurance page and ask us. Do you insure brand new taxi drivers? Yes we do! We insure brand new drivers who are just starting out. Here at Think we don’t think you’ll be irresponsible as a new driver, and so we are happy to insure brand new taxi drivers. If you have private car no claims bonus we may be able to transfer this to your Taxi Insurance. What are the age limits for insuring Taxi Drivers? Taxi Drivers must be between the ages of 21 and 70 years old. You are unable to hold a taxi license until you are 21 years of age, so we are unable to insure a driver under 21. What vehicles do you insure? We insure Black cabs, saloons, MPVs and Minibuses. We can cover almost any type of vehicle, whether for private hire, public hire or Chauffer’s. Do you Insure Taxi Fleets? Yes, we do offer taxi fleet insurance. If you own a fleet of taxis, we’ll happily insure every one of them for you. Could my spouse drive the taxi for non-work related purposes? Yes, you can get your spouse insured on your taxi, but first make sure your licensing authority allows this or that your partner is a licensed private or public hire driver. If they are not, they may be unable to drive your taxi. If you have comprehensive cover and your vehicle is written off, you will be paid its market value at the time of the accident. 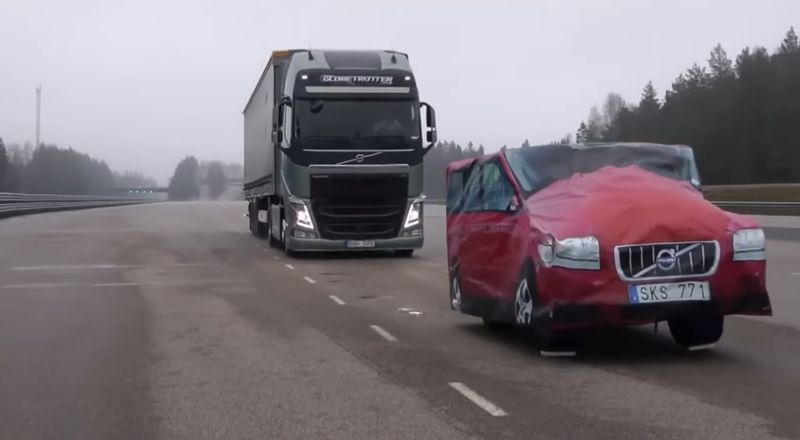 If your car is written off, this will help massively in getting you right back to work as soon as possible. If you do not make an insurance claim and remain incident free for a year, you will can earn a no claims bonus discount on your insurance. Each year you do not make a claim your discount will increase. Basically, the better you drive, the less you pay! Here at Think we insure Taxis and Fleets, take a look now. This entry was posted in Fleet Insurance on June 14, 2014 by admin. South London bus crashes into a tree injuring more than 20 people. 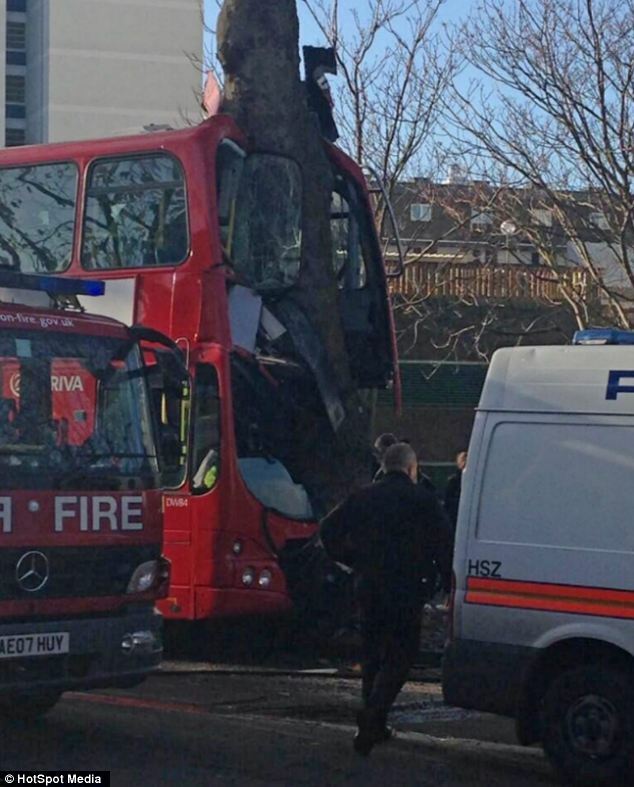 A south London bus has crashed into a tree while swerving to avoid an emergency vehicle. The crash has left more than 20 people injured, 2 of which are in critical condition. Emergency crews are now using a cherry picker to gain access to the back of the bus where 2 people are believed to be trapped. The number 59 bus, which was heading to King’s Cross at the time, crashed into the tree on Kennington Road, Kennington, near the Ship pub. ‘Around a dozen people are believed to have been injured and firefighters are working to release two people who are believed to be trapped. London fire brigade station manager Clive Robinson, who is at the scene, said: ‘We are working to release two people who are trapped on the top deck of the bus. If you need fleet or minibus that needs insuring, get in touch with Think Insurance today for a quote. This entry was posted in Fleet Insurance on December 20, 2013 by admin.